This module grant you to set up a redirect when a user clicks on the ADD TO CART BUTTON. By using this module you speed up the investment process and increase sales. If you combine this module with a 1 click check out you will be able to create an amazing 2 click shopping experience. Opencart Development services is our devotion towards fulfillment and compelling desire to serve our customers to their ultimate satisfaction. Our Opencart developer customization services includes Opencart free themes development, Opencart themes customization, Opencart free extensions development, Ongoing Opencart Support and maintenance. The precise alteration in your current e-commerce website development that enables you to leverage the power of fully interactive websites. If you are, then we would be delighted to extend our user-friendly assistance of innovative OpenCart development services for the good of your business. We have the Opencart developer to use the utterly innovative & experimental excellence for creating e-commerce websites designs that stand distinctively on the web. How to redirect Add to Cart button to Checkout or Shopping Cart. Download the extension from above link. 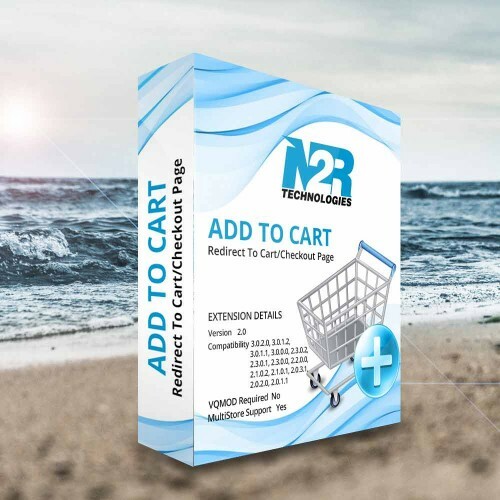 Install Add To Cart Button Redirect module. If you do not have permission you will have to set permission to modules/addcartredirect from the top administrator user group from within the admin configuration user menu. a.Add Redirect link. b.Enable Status to use it.